KEY Comfort features of 100% Cotton Chambray combined with Western Styling. 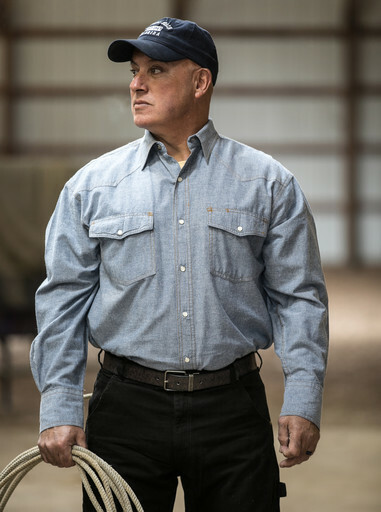 The KEY Blue Chambray Western Shirt is the Perfect Long Sleeve Shirt for a variety of industry or construction jobs....or Western Casual for stepping out on a Night of Fun! The Long Sleeves keep you Warm and Protected from the elements, and the Long Tails assure you that your shirt will stay tucked in! These KEY shirts are made from the Highest Quality materials and are Made to Last. Not only is the KEY Pre-Washed Long Sleeve Chambray Work Shirt Durable, it is Comfortable too! Built Extra Roomy for Ease-of-Movement at work! All Cotton fabric means when you need skin protection from the hot summer sun, this Long Sleeve Shirt Breathes with you to help keep you cool.